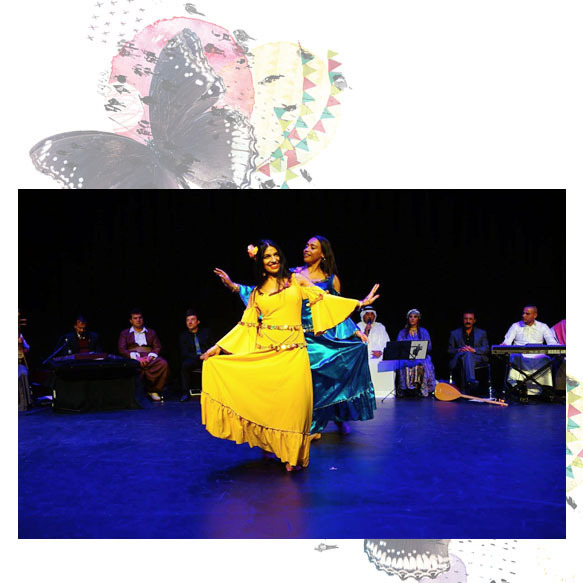 Spawned from an existing collaboration with the Shanasheel Iraqi Cultural Festival, New Beginnings Festival in Spring proudly presents two newly formed collaborations - the Shanasheel Iraqi Macam Group and the Shanasheel Iraqi Folkloric group. The Shanasheel festival is organised by the Iraqi Australian University Graduates Forum (IAUGF) and aims to bring together the diverse streams of the Iraqi community through art and cultural activities. The festival promotes social cohesion and mutual understanding among different Iraqi ethnic and religious groups. The Shanasheel Iraqi Macam Group will perform a delightful repertoire of classical Middle Eastern music and songs, while Shanasheel Iraqi Folkloric group will take us on a journey to Mesopotamian civilisations and Arabian nights, including music, singing and dance reflecting the rich and diverse Iraqi cultures: Arabic, Kurdish, and Assyrian.